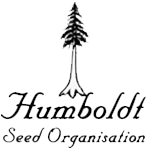 Humboldt Seed Organisation - Blueberry Headband. Free US delivery. Blueberry Headband feminised was originally bred from our F3 Emerald Headband male crossed with DJ Short’s original Blueberry. It continued to be worked on and developed to produce this stable F2 plant with improved yield, greater resistance to pests and climatic conditions and refined flavour profile. Indoors the flowering period is around 8 weeks with a short vegetative period due to its rapid vertical growth. Typical yields fall within the range of 350 - 500 gr/m2. Outdoors it is ready in either the last week of September or the first week of October in northern latitudes. It can easily reach a height of 3 meters when grown outdoors planted directly into the ground or in very large pots with super-impressive yields of between 1 and 4 kilos per plant dried weight. Harvest will be during October in the northern hemisphere. In terms of flavour its OG and Sour Diesel genetics are in evidence but complemented by pronounced aniseed and spicy notes. THC levels are high to very high being 19% - 23% and with low CBD of 0.1%. 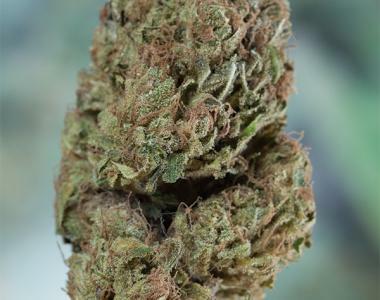 It has an uplifting, active, euphoric effect making light work of daytime physical tasks but it is also effective for pain relief as it transforms into a nice body high.